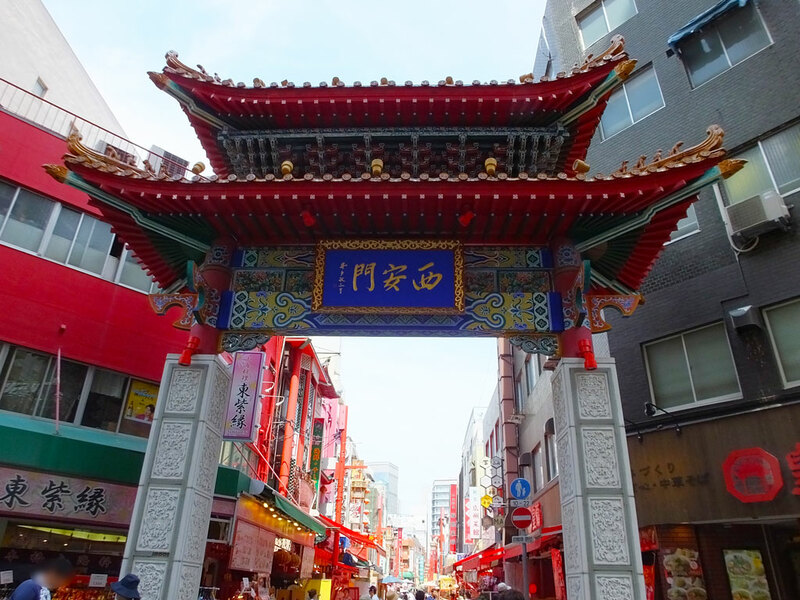 What is Kobe Chinatown like? 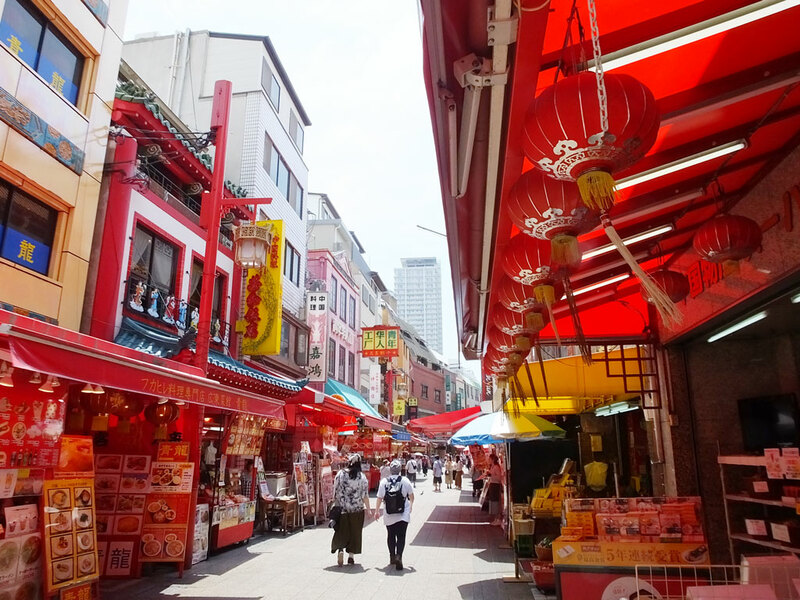 Kobe Chinatown (Japanese: Nankin-machi) is one of the three major chinatowns in Japan, and known as a tourist spot in Kobe. 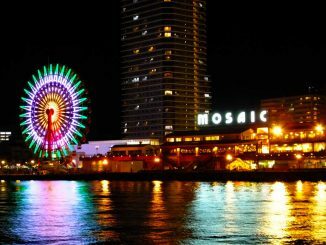 It was established soon after the opening of Hyogo Port (now it is called Port of Kobe) in 1868, the first year of the Meiji Period. 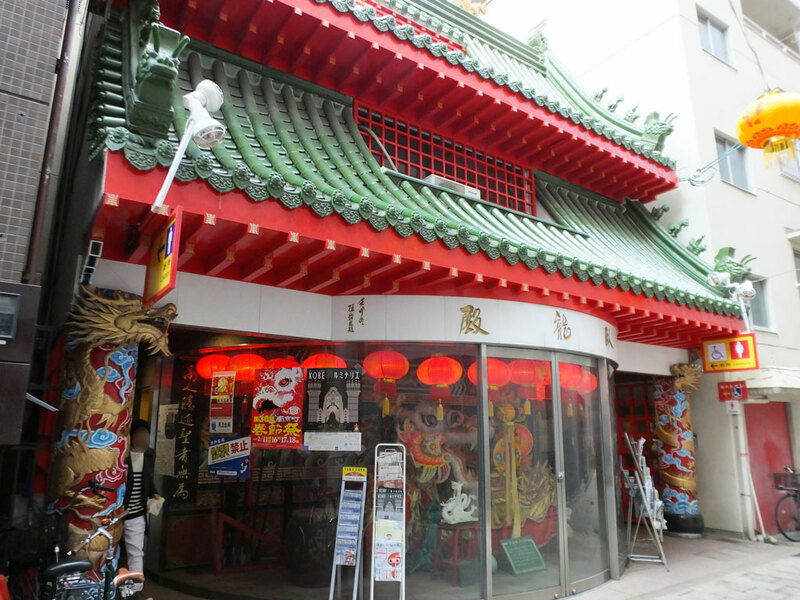 At that time there was the foreign settlement near there, and around 1925, Kobe Chinatown was at the height of its prosperity because many Chinese people run stores selling the wide variety of imported goods there. Still now, you can feel the wind of China here. 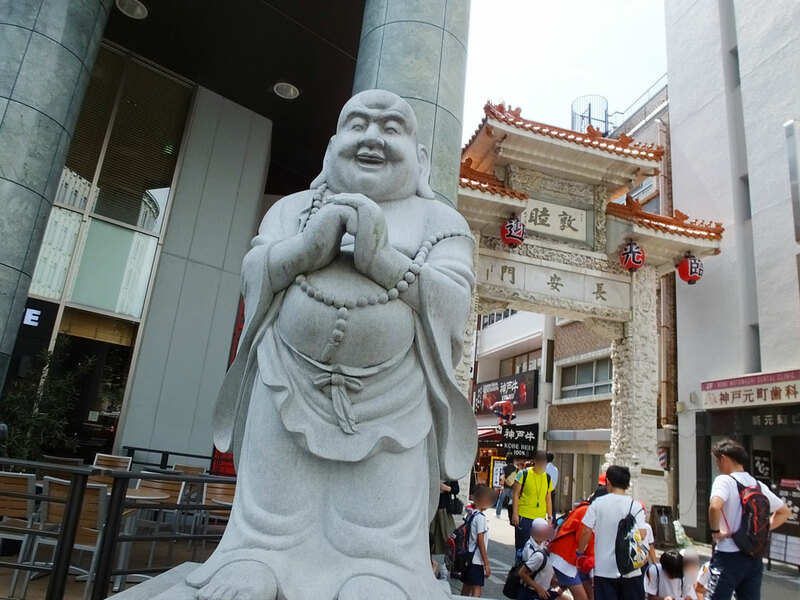 Kobe Chinatown is approximately 270 meters long from east to west. On the west side, there is Xi’an Gate. On the west side, there stands Chang’an Gate. Between them, there are more than 100 Chinese stores. 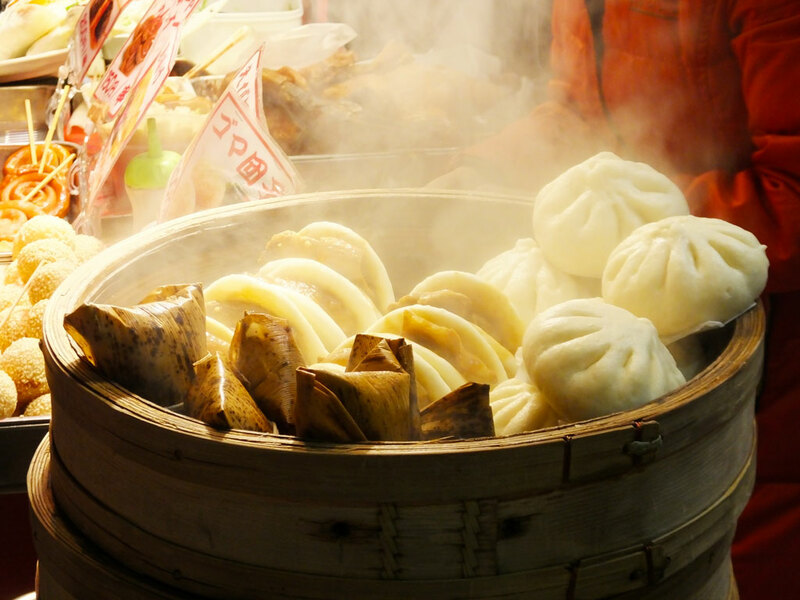 Many of them sell authentic Chinese food, so come and try them. It is really fun! 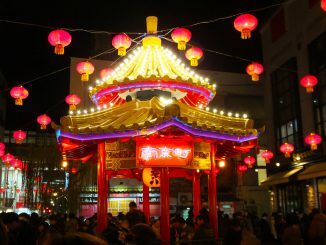 In the middle of the Chinatown, there is Nankin-machi Square. 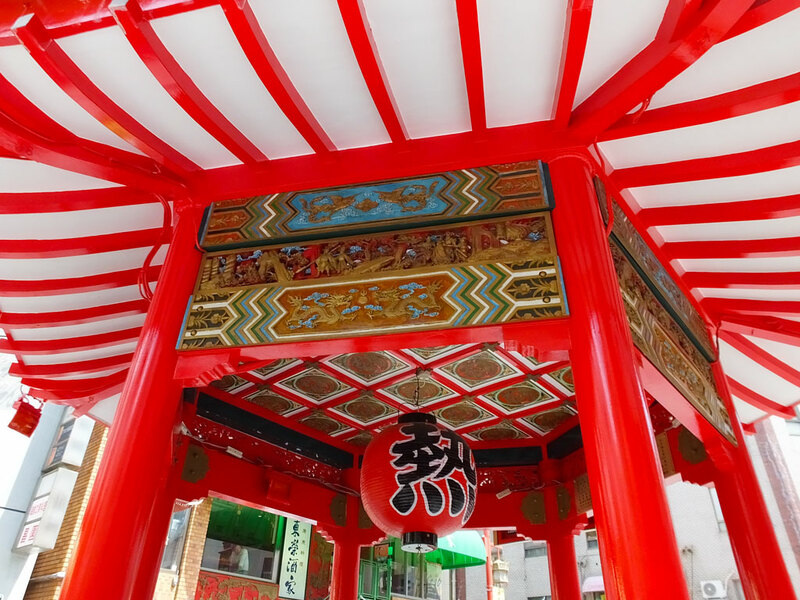 Be sure to go there, and you will see the symbol of Kobe Chinatown. It is a small hexagonal building called Azumaya, where you can have a seat and take a rest. Look inside. It is very colorful and gorgeous. 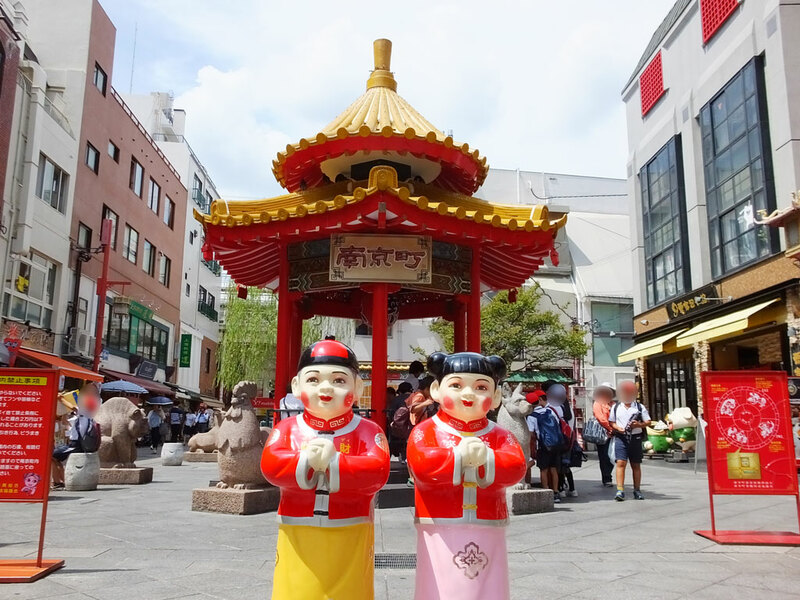 Nankin-machi Square is surrounded by shops and restaurants. It is fun to walk around the area. 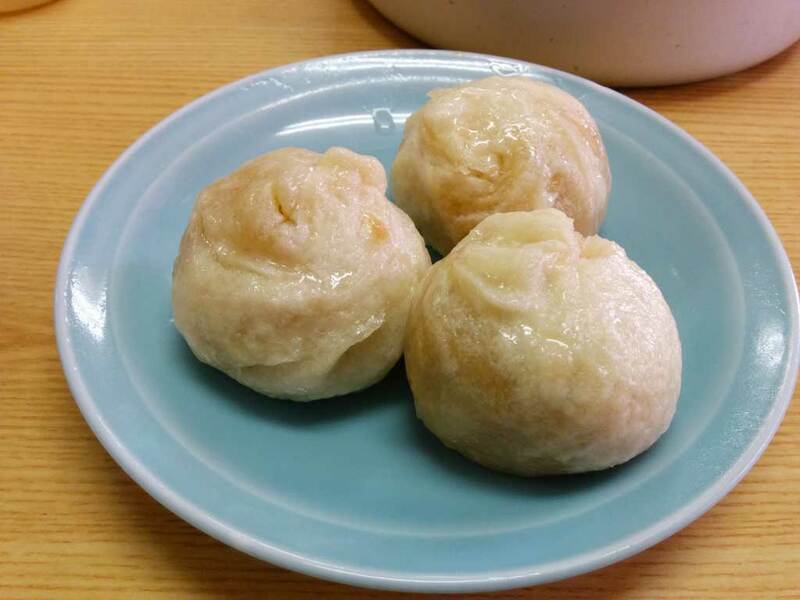 My favorite is Chinese steamed pork buns (Japanese: buta-man) from Roshoki. It is juicy and very tasty. It has a slightly different flavor from common buta-man, and I’m addicted to it. On the Main Street―Good Luck to You and Your Stomach! I found many Chinese characters of “Fú (福)” (Japanese: fuku) on the main street. “Fú (福)” means “good luck” or “fortune” and it is one of the most loved Chinese characters in China. 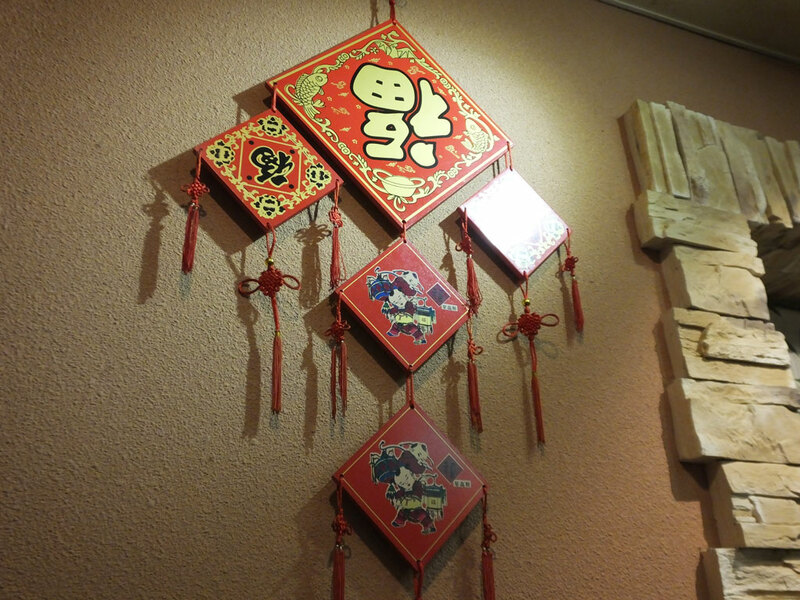 I also found “Fú (福)” in a restaurant there, but it was upside down. I heard that Chinese people believe good luck comes to you by hanging it upside down. I became hungry as I walked down the main street, because there was a lot of food. 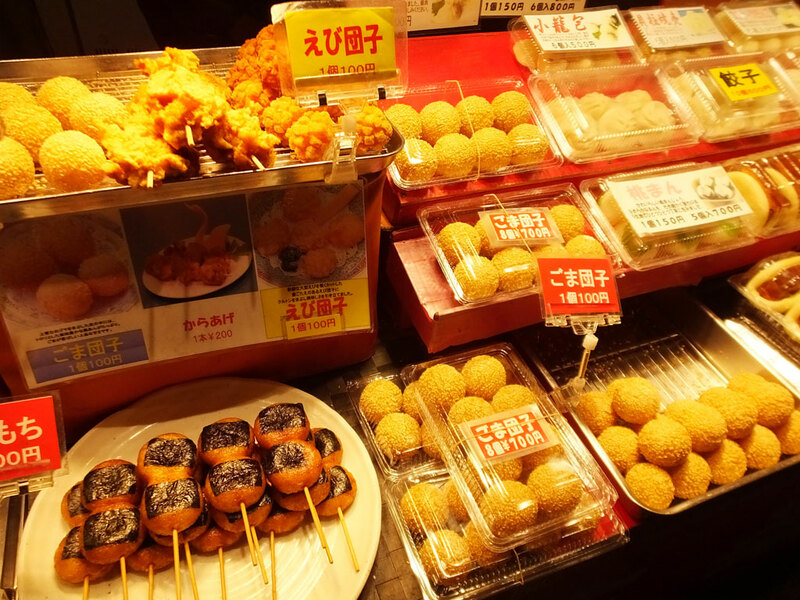 Nikuman (steamed pork buns), chimaki (rice dumplings wrapped in bamboo leaves), kakuni (braised pork) burgers, kushi-mochi (skewered rice cake), goma-dango (pastry coated with sesame seeds)―all of them looked so good! It is very hard to choose among them. If you are lucky, all what you eat will be what you love. If you are not so lucky, you will have a different result. Good luck! I found a unique vending machine, too. 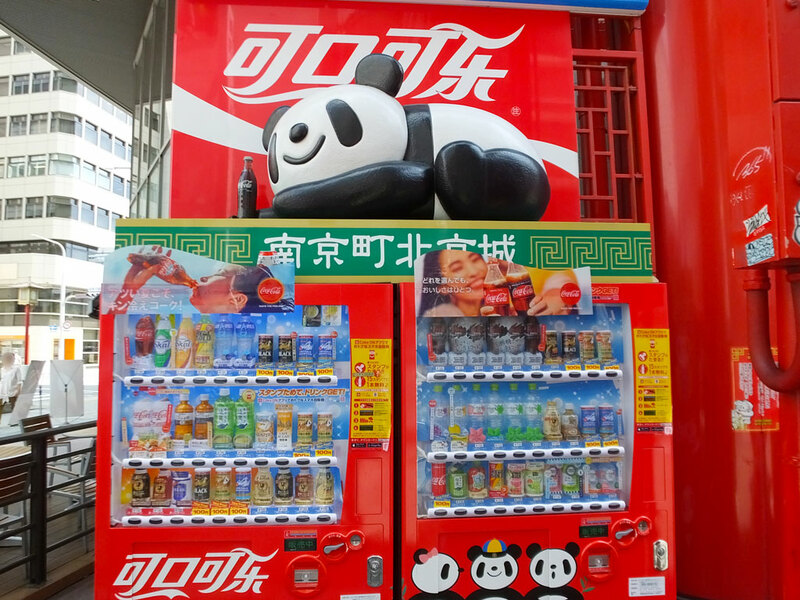 A smiling panda is having a bottle of coke on it. I can’t read Chinese, but I can guess the white letters should say “Coca-Cola.” Maybe you can see this cute vending machine only here. Look at the next picture. When I saw this substantial building for the first time, I thought it was a Chinese restaurant, but it was wrong. What do you think it is? It is helpful and convenient. Anyone can use it for free. Yes, it is a restroom building, but how gorgeous! It may be a little difficult for visitors from other countries to tell the difference between China and Japan. 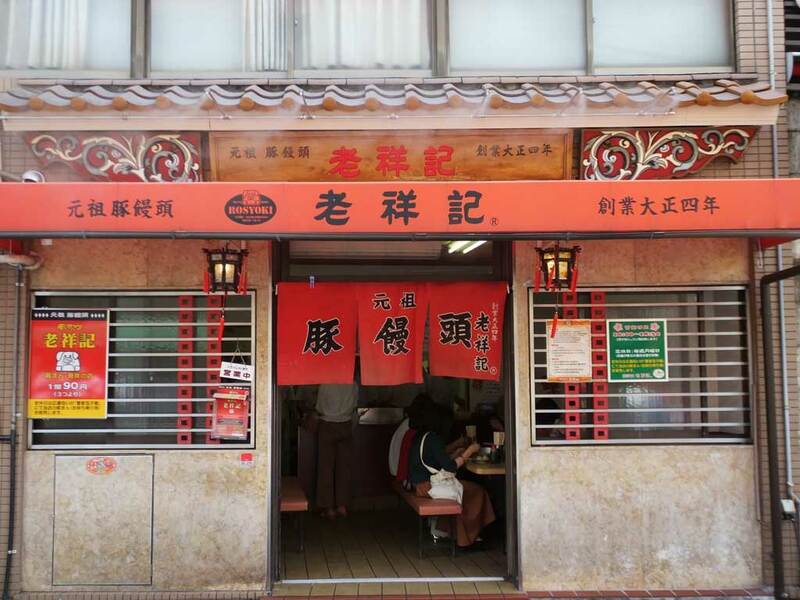 Then go and see Kobe Chinatown. It is like China with Chinese people working there (though some Japanese are working there, too). 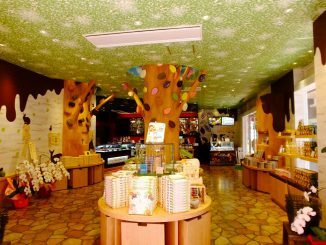 It is a fun place where you can have a good time with lots of delicious food. 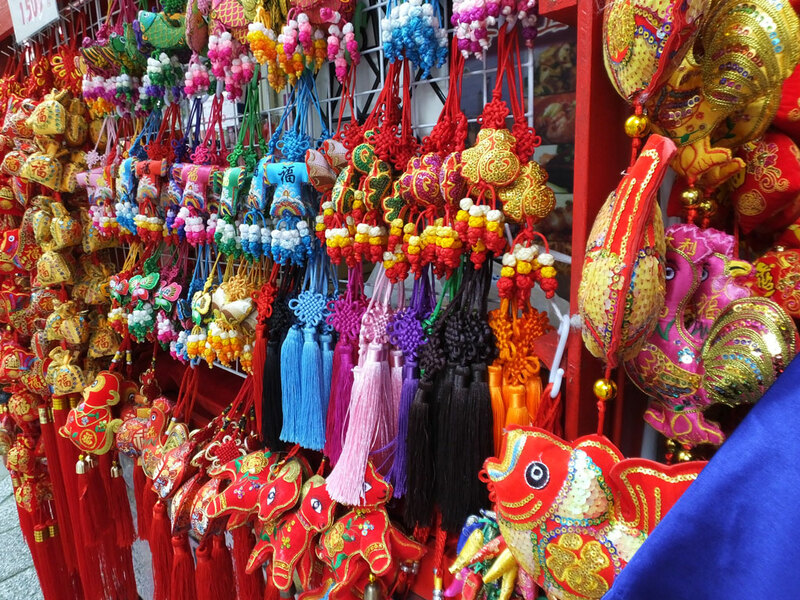 After visiting the Chinatown, you can enjoy shopping because there are many stylish shops, cafes and a department store, Daimaru near there.